Lately there has been a rise of gunpoint medicine threatening parents of children when both child and parents want no part of vaccinations, chemotherapy, or radiation treatments for their kids. As long as they are minors, the state feels it has the authority to grab children from their homes, put them into foster care, and threaten the parents with prison. 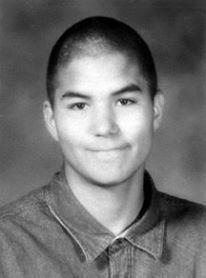 In 1994, a Massachusetts 16-year-old who had endured five chemotherapy treatments for his cancer adamantly refused undergoing anymore chemo. His name was Billy Best, and he didn’t care what authorities or his parents, who were believing the doctors, thought. He wasn’t allowing chemo for his cancer anymore. So he thought it best to disappear by running away. He sold enough of his belongings to get the cash for a cross country bus ride. Billy’s story was a nationwide sensation while he was in hiding. But it was the publicity that forced him to return. Now, he is very healthy and cancer-free, thanks to alternative remedies of his choosing. He’s working in a health food store and raising his young child Max with his girlfriend Maya. He’s also consulting parents of children who are pushed into chemo and participating in medical school seminars on patient choice. Billy’s mom, Sue Best, runs the Billy Best site to promote his book and schedule appearances or consultations. He continues to be interviewed by alternative news sites whenever a story breaks on families having to become fugitives for refusing chemo and radiation on their children. 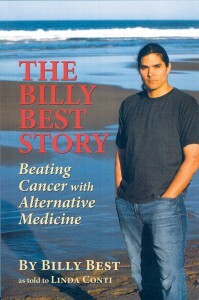 Billy’s adventure and resolution, as told to writer Linda Conti, is contained in the book titled The Billy Best Story: Beating Cancer with Alternative Medicine, and it has several five-star rave reviews on Amazon. From the bits and pieces of media coverage during and since the time Billy had run off in 1994, one gets the impression that he wound up in California. And from there he discovered cancer-healing protocols for his Hodgkin’s lymphoma or even went to nearby Mexico. But actually, he never got to California, his original destination. He wound up in Houston, TX. Instead of roaming the streets as many run-away teens do, he was fortunate enough to meet up with fellow skateboarders who helped house him. Billy had no idea of the nationwide hunt for him. His parents had contacted national news outlets out of concern for his whereabouts and health. But one day, the father of one of Billy’s skateboarder buddies said he saw Billy on one of the TV news reports featuring his runaway from home to avoid chemo treatments. So Billy commiserated with the parents who had adopted him at birth as a Micmac Native American and decided to return home to with one provision: no chemotherapy. Instead, he and his adoptive parents would decide on alternative methods. His nationwide exposure had elicited many suggestions from which he could choose. Gaston Naessens had fled France to be able to administer injections of 714X in Quebec, Canada after being harassed by medical authorities while proving the merits of his treatments for cancer. But soon Gaston ran into problems there also. He was threatened and forced to stop treating others. His solution of camphor, nitrogen and mineral salts is still manufactured in Canada with instructions on self-administering it by injection. But it’s completely banned in the USA. Like laetrile and other effective, inexpensive, and non-toxic treatments, 714-X is on the Medical Mafia’s taboo list and is difficult to get and administer. Billy was taught how to inject it himself in nearby Canada, where he could purchase it, and still performs occasional maintenance injections while drinking two to four ounces of Essiac tea daily. As long as it’s not promoted as a cure, Essiac tea is very inexpensive and widely available. The trick is getting the highest quality herbs and making your own tea. Off the shelf Essiac Tea was what nurse Rene Caisse (reen case) was hoping to avoid by not divulging her formula. Reports of cancer patients not benefiting from Essiac tea are usually because they used teas purchased off the shelves of health food stores, which are also more expensive than buying the herbs and making it yourself. 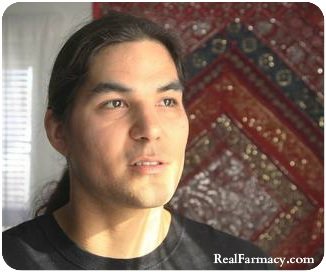 Nurse Caisse got the formula from a woman whose breast cancer was healed by a Canadian Aboriginal medicine man’s herbs. Spell Caisse backwards and you have the name of the tea, Essiac. 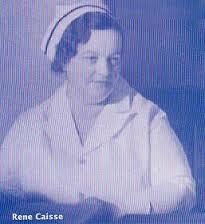 Canadian nurse Rene Caisse cured thousands from her Quebec Province small-town clinic for decades. After she died in 1978 at age 90, authorities raided her clinic and destroyed all the records they could find. But the tea’s recipe was discovered by Dr. Gary Glum, DC, through one of Rene’s former associates and resurfaced nationally. Unfortunately, few understand the importance of having the exact herbs that Caisse used: Turkey rhubarb, burdock, slippery elm, and sheep sorrel with roots, organic or wild-crafted and not irradiated. Many Essiac tea providers today cheat a little, using inferior or irradiated herbs without sheep sorrel roots.